Papers: In the Diana Caballero Papers, 1967-1999, 19.71 cubic feet. 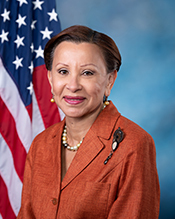 Persons represented include Nydia Velázquez. Papers: In the Edward Mercado Papers, 1924-2001, 10.47 cubic feet. Papers: In the Joseph Monserrat Papers, ca. 1953-1993, 12.56 cubic feet. Papers: In the Luis O. Reyes Papers, 1961-1998, 21.12 cubic feet. Papers: In the Lourdes Torres Papers, 1960-2000, 7.13 cubic feet.